With so much fast consumerism going on in the world, it’s positively humbling to see a return to handmade toys with that special heirloom factor. Tumblemonkey is the brainchild of Melbourne-based Etsy seller and self-proclaimed feltist Catherine Nolan-Biondic. 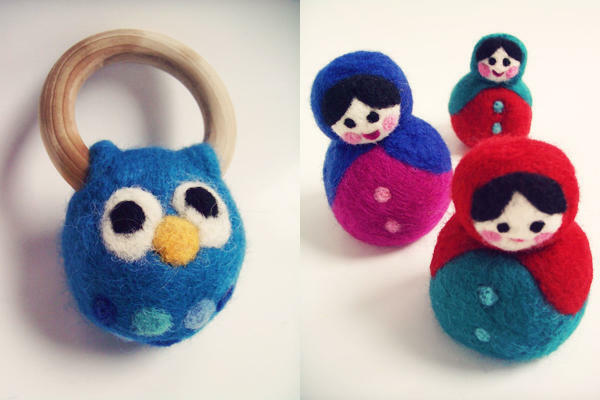 Made entirely by hand using traditional needle felting techniques and the softest Ashford wool – it’s evident that a whole lot of love was applied during the production of this lovely collection of toys and homewares. In addition to the felt offerings, there are a few quirky extras to peruse, like the lovely Shabby Chic Wire Bird Cage hanging. That bare wall in my daughter’s room is crying out for one. To add to the growing list of goodness, there’s lots to inspire the ethical shopper too. The felts are non toxic and coloured using natural dyes, the wood natural and untreated, whilst the high quality finishes will ensure much giggling and enjoyment for decades to come. Isn’t that what toys should be about? Being enjoyed by one child and then passed down the generations, where they will tell stories and inspire new games and experiences. For a handmade range, the prices are very reasonable. 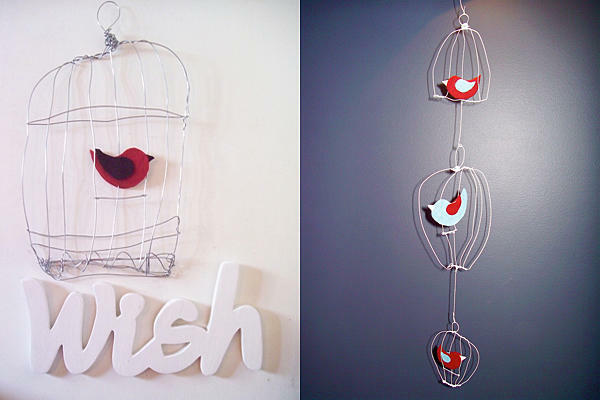 The popular hanging garlands are US$15.50, babushka dolls start at US$25 and the gorgeous hanging bird cage is US$25. Here in Australia postage is just US$5. 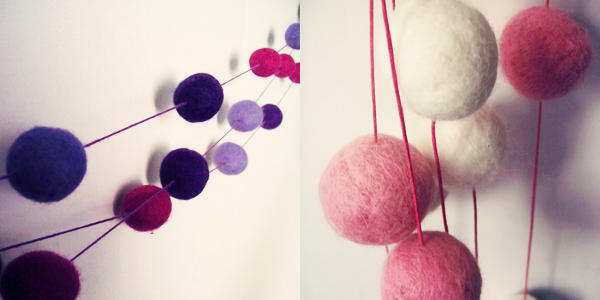 Visit Tumblemonkey for a glimpse of the full range and get some felt in your life.